Hi there! Audrey here! 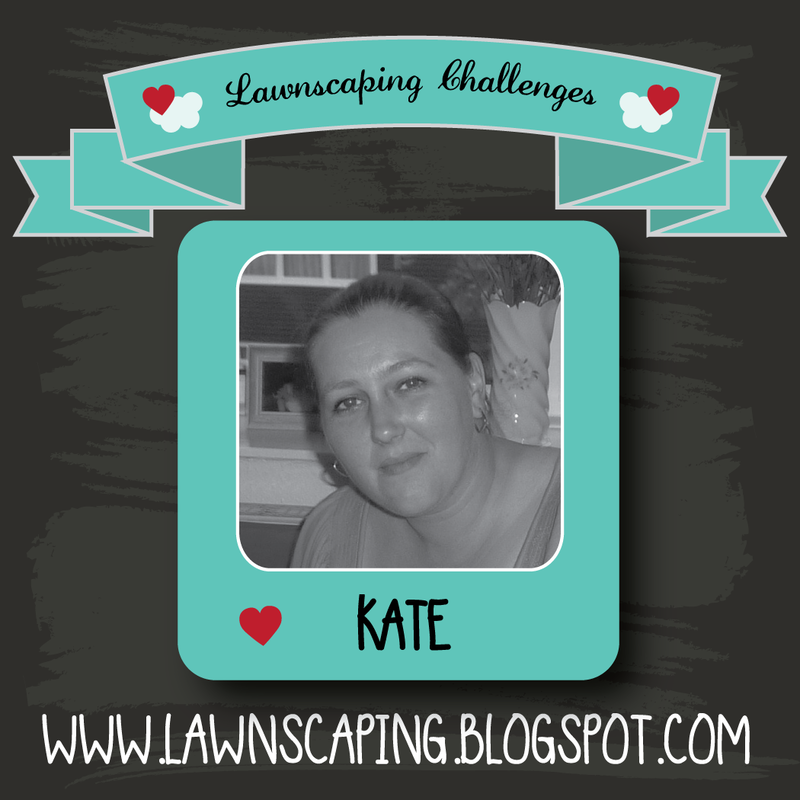 So excited to be able to share some Lawn Fawn inspiration with you apart from our bi-monthly challenges. 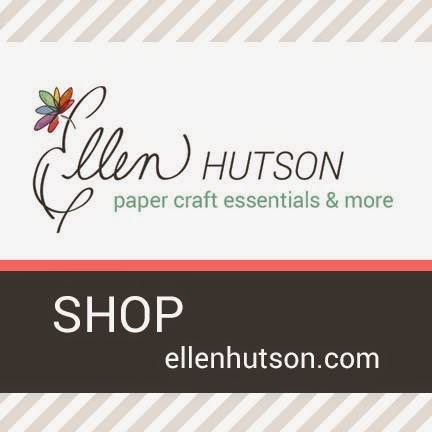 I will be posting projects for you on the 3rd Tuesday of every month, and today is the day! With Christmas now over, I've moved on to creating for my favorite holiday... Valentine's Day! I pulled out one of my favorite Lawn Fawn sets, Monster Mash. This stamp set was originally created with halloween in mind, but no one says they can't be love monsters too! Using your stamps for other holidays is a great way to stretch your creativity and get more bang for your buck with your supplies! I stamped and colored my monsters in shades of pink and red for Valentine's day, and then diecut them with the coordinating Monster Mash dies. I added a very soft wash of color on a white card front using Picked Raspberry Distress Ink and an ink blending tool. I wanted the sentiment to stand out, so I heat embossed it with white embossing powder on hot pink cardstock. To finish things off, I stamped some tiny hearts using the small heart stamp in the set, and added a scattering of sequins. I hope my post today inspires you to look at your other holiday stamps when you go to create for Valentine's Day! 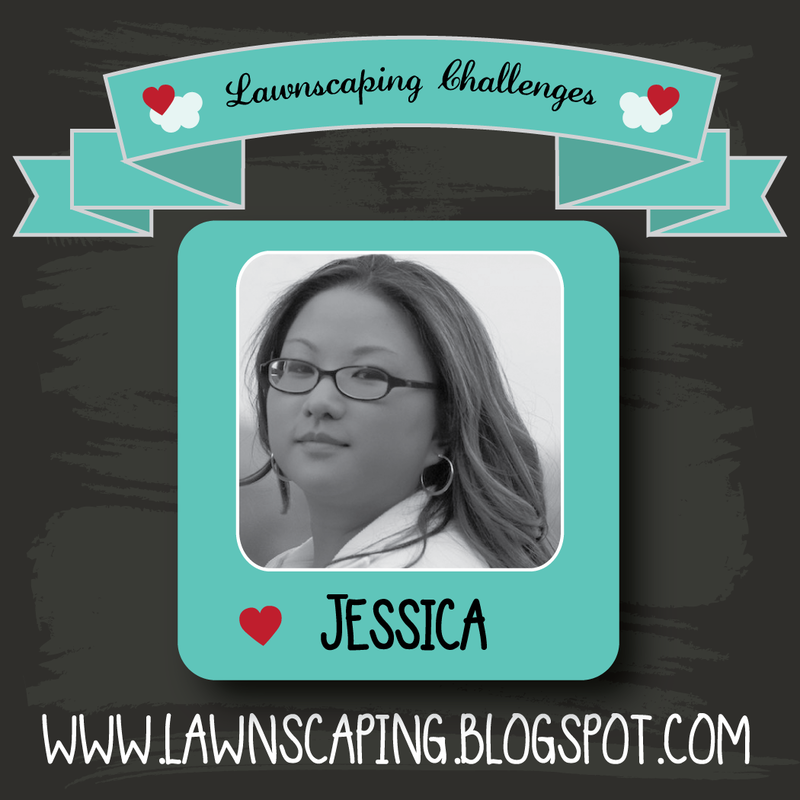 By the way, a new Lawnscaping Challenge started yesterday... be sure to join us for your chance to win an awesome prize! 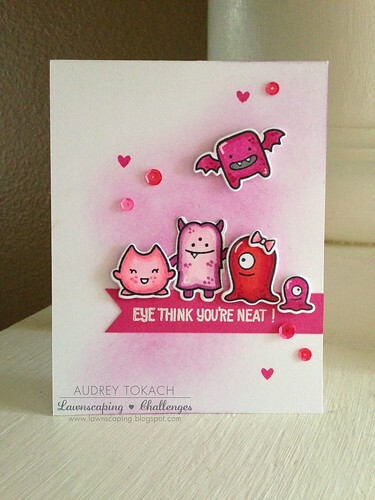 Really cute love monsters - a fun card! I love this!! I just got these stamps, this is a great idea!! 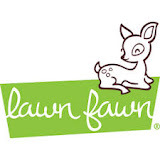 This is the main reason I love Lawn Fawn. Their theme stamps can be used in such creative and offbeat ways!!! Thank you for the inspiration!!!! Your card is absolutely adorable!! Love the pink color-scheme, too cute! So adorable , love the little monsters! Oh my-this is totally ADORABLE!!! I love the monsters in pink. Now I have an excuse to pull out my monsters again to CASE this card!!! Oh so... utterly cute... I love the colors! Oh my world! How cute is this?? Love it! Wow, this is such an adooorable card! Love everything about it, especially the pink background! I love how you used these monsters for Valentines Day! Perfect coloring as usual! This is too adorable for words!!! I absolutely love your card. It is so cute. LOVE the monsters! such a fun card!